Peycho and Henrik met each other on the wind-scorched, flat, endless Pampa of Southern Argentina while they both were on their multi-year cross-continental bicycle trips. Henrik was 2 years into his 4 year journey around the world on two wheels and Peycho had just recently started his 1,5 year bicycle ride from Argentina to Alaska. Parking their bicycles for some days, they did a 3 day hike into the stunning beauty of El Chalten National Park and got talking one day about alternative forms of adventure. Mongolia on a horse? A long distance walk? A kayak through the rivers of Europe or down the Yukon River? Ideas were thrown around in jest, mainly for fun. Peycho mentioned that he would like to build a bamboo raft and float down a tropical river, like the Amazon. Nothing serious were ever discussed. 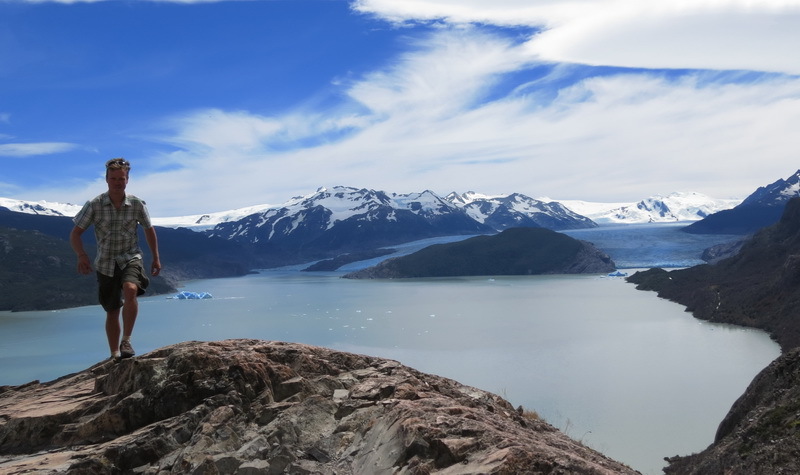 They then returned to their bicycles and rode together for 3 weeks through Nature Wonderland on, possibly, the most beautiful road in South America, Carreterra Austral, before their ways parted and they chose separate routes. Months later they randomly bumped into eachother, while cycling up a calm Bolivian highway dotted by small mud-houses inhabited by indigenous peoples. How are you, which route did you take, how’s the bike holding up? Lots of catching up to do. They joined forces another time and cycled together for 6 weeks across the Bolivian high plateau, through stunning salt lakes, climbing a 6000+ m peak and riding into the isolation of the highest city on our planet: La Rinconada at 5100m. Arriving in the Sacred City of Cusco in Peru, the idea of a bamboo raft surfaced again. “I am serious” Peycho said. “Allright, but you need some flotation devices to keep your raft out of the water. Barrels or something” Henrik said. Within long, they were both deep into the idea and had spreadsheet with construction and cost calculations while researching the length and flow-speed of the Amazon River. “See you in Quito in 3 months, lets build a raft and float down the Amazon” was the last sentence before their ways parted once again. And so it happened that they met in Quito, Ecuador early in November 2013 and caught a bus to the very eastern extreme of the Amazon Rainforest: Coca, a little town on the shores of the Rio Napo, a large tributary to the famous Amazon. They quickly made some friends and agreed with a Shuar Tribal family to borrow some of their river-shore land to construct a bamboo raft. Spending a month on the construction before they pushed themselves into the unknown wilderness of the largest rain-forest on Earth, they were heading for adventure armed with optimism. After 10 days, at the border with Peru, they met Misha who became a part of the rafting adventure and the crew was increased to 3 members. The first 900 km was on the Napo River and was done without and engine, only floating with the current and attempting to control the heavy raft with some fragile oars. When reaching the Amazon River, they invested in an engine to avoid ship collisions and to gain a bit of control on this mighty, giant river, between 3 and 8 km in width. However, they stuck to their floating principle and only used the engine in rare and short occasions. Arriving at the Amazon River they floated for another 2200 km through Brazil before arriving in Manaus, loaded with an experience of a lifetime. 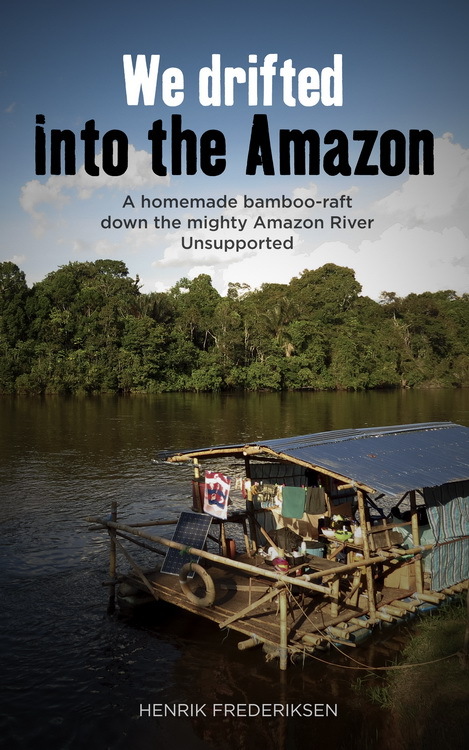 Henrik is working on a book about the Amazon Raft Adventure. The 1st draft is done and it is left “to simmer” while he is attempting a 5 month, 4300km walk from Canada to Mexico.